States have many tools at their disposal to suppress their subjects: the military, police, taxes, and laws, to name a few. 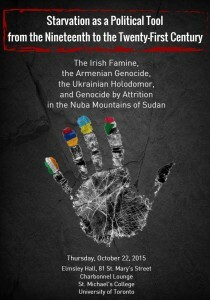 The extent to which starvation has been used, or became a way to discriminate against, punish or eliminate national, ethnic, racial or religious groups (as described in the UN Genocide Convention) has not always been appreciated. 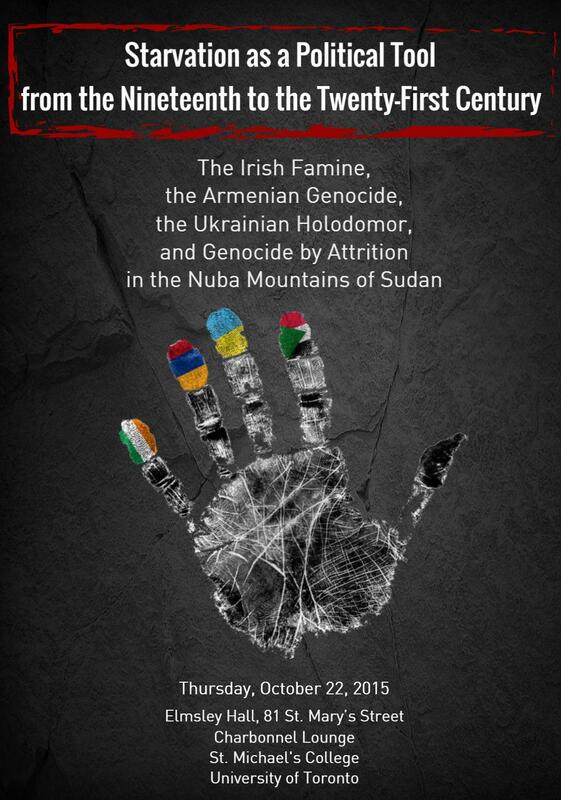 The symposium focuses on four case studies to shed light on the politics of starvation, examining methods, their effectiveness as instruments of government policy, and the devastating effects on target populations. • Khanenko-Friesen, University of Saskatchewan, on the transformation of Ukrainian civil society during collectivization and the Holodomor. Holodomor Research and Education Consortium, Canadian Institute of Ukrainian Studies, University of Alberta; the International Institute for Genocide and Human Rights Studies (A Division of the Zoryan Institute); Canadian Foundation for Ukrainian Studies; the Petro Jacyk Program for the Study of Ukraine at CERES, Munk School of Global Affairs and the Department of Slavic Languages and Literatures, University of Toronto.